This paper presents a new approach for gravity compensation of a 3-UPU parallel manipulator. The conventional method of computing the effect of gravity force on the end-effector works properly for serial manipulators. However, employing Newton-Euler approach for the parallel robots is computationally expensive and it cannot satisfy the requirements in this work. In order to overcome this difficulty, the new algorithm based on Lagrengian method is proposed. This model is established based on total potential energy of the system as a scalar value and, the position of the end-effector. 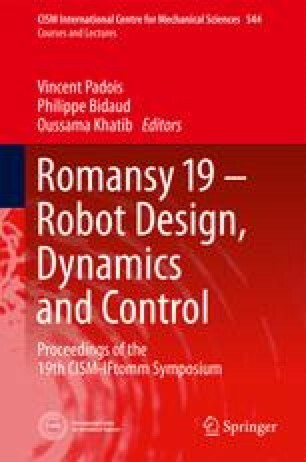 This paper presents this new algorithm which is more efficient in sense of computation and more proper for Real-Time purposes in parallel robots.